Join us at Firestone Vineyard for an epic Valentine’s dinner that will celebrate the union of flavors through French-inspired food and our Bordeaux varietal wines. At Firestone, we think Valentine's Day is for lovers, wine lovers, that is! 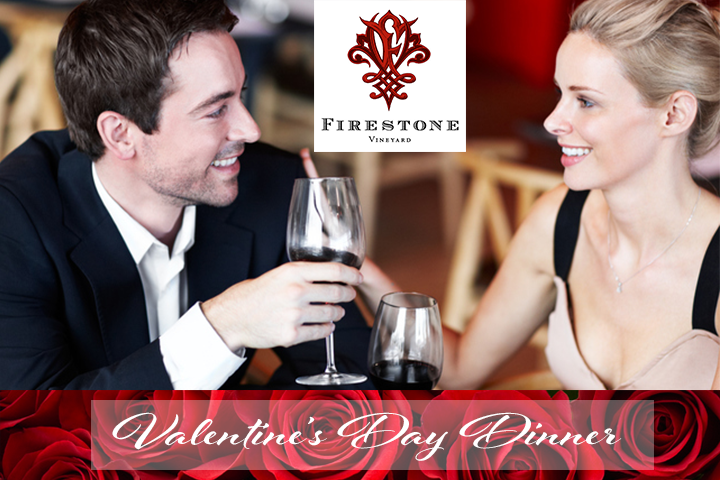 Celebrate love with a delicious three course dinner in Firestone’s iconic Barrel Cellar. Treat your valentine to a night they won’t forget!!! Following the reception, you’ll be lead into our Barrel Cellar where Winemaker Dan Spratling and Foley Food & Wine Society Chef Brian Mazzoli will be your hosts with the most, walking you through each perfectly paired course. Love is sweet, so we wouldn’t end the evening any other way than with a decadent dessert bar!